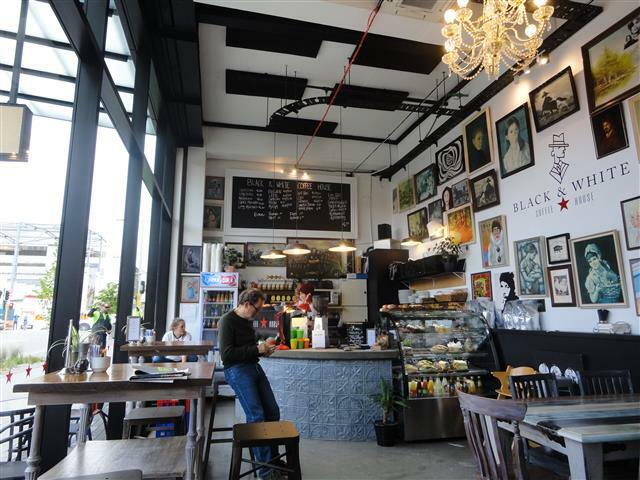 We chose the Black and White Coffee House for refreshment this morning, and I liked the ambience. It’s a tiny place, opposite the Central Bus Exchange in Lichfield Street. They say they can seat thirty people, but some of those would need to be out on the footpath. One wall is covered in pictures, mainly portraits. 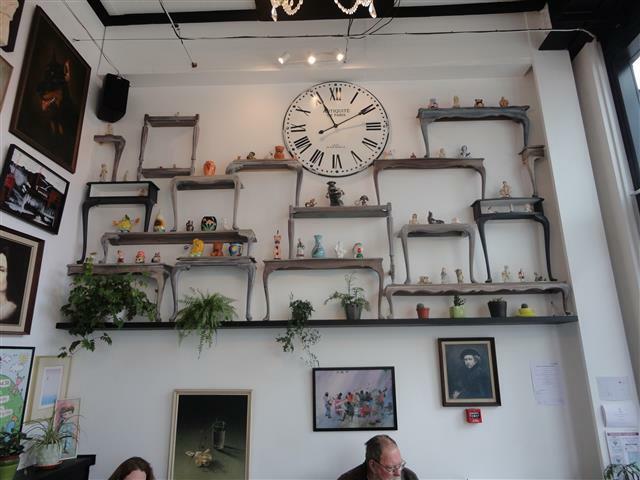 On the other wall is an eclectic collection of bric-a-brac on shelves that look like tables. On our table there were two tiny coffee cups, each hostng a small plant. 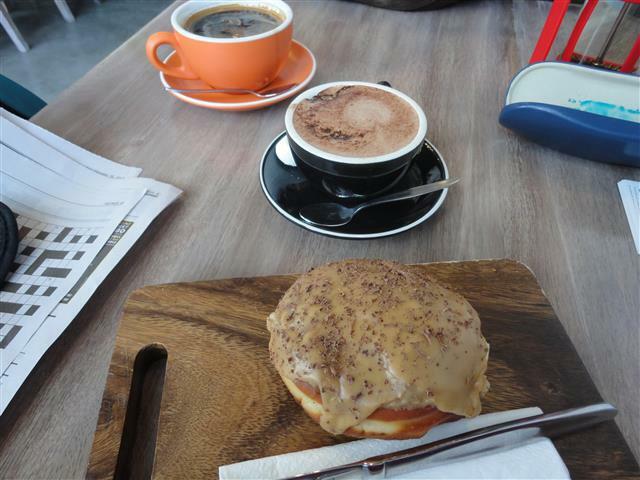 I succumbed to the enticement of a Tiramasu Doughnut, and was surprised when it arrived on a board with a knife and fork. I’ve never used cutlery to eat a doughnut before, but then it’s many years since I’ve eaten a doughnut at all. It was rather rich, enjoyable, but I’d prefer a cheese scone. I was told the doughnuts came from the Cake Eating Company. There certainly wouldn’t be space at the Coffee House for them to prepare such delicacies. A ‘Press’ was provided and I finished the cryptic crossword all except one clue, before we headed across the road to get a bus home. Presumably it’s the early bird . . . . .
Have you been to Portershed in Liincoln Road. I am sure you would love that. There is a review in yesterdays paper . Haven’t got that far yet. I’m keen to support the central city as much as possible, seeing I live there.